What do these sunglasses all have in common? Apparently, they're all useless when it comes to protecting those precious peepers. According to ophthalmologist Dr. Rahul Pandit, this '90s throwback allows "more light...to get around. Larger frames are going to protect you more." 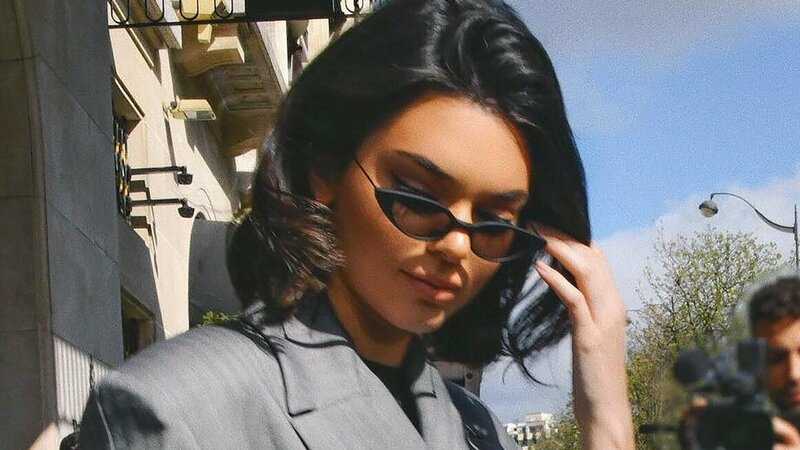 What's worse is that most people wear these tiny sunglasses closer to the tip of their noses, so, again, they're not serving their purpose of shielding your eyes from the sun. Like your skin, when your eyes are exposed to more ultraviolet light, it can be damaging. UVA rays can damage the retina and increase the risk of macular degeneration, which can then lead to vision loss. Macular degeneration may take years to develop, but a short-term problem of the microshades trend is something called photokeratitis (read: sunburn of the eye). Dr. Andrew Iwach explains, "The delicate surface of the eye, when exposed to a significant amount of ultraviolet radiation, can actually become irregular, which causes all kinds of light sensitivity and decrease in vision. It's quite painful." Praying that large, Olsen-inspired sunglasses are finding their way back in.